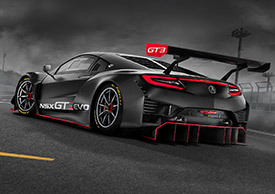 The effects of these updates, the result of constant analysis of information generated from within the global NSX GT3 Customer Racing Program over the last two years of testing and racing, will be improved performance and reduced running costs, the result of a 25 percent increase in engine life and greater component durability. HPD was founded in 1993 to spearhead American Honda's entry into Indy car racing. No other manufacturer has matched the company's success in Indy cars, which includes 237 race victories, 16 drivers' championships, seven competitive manufacturers' championships and 12 Indianapolis 500 victories since 2004. HPD, Acura and Honda have a history of success in endurance sports car racing, with more than 100 prototype victories since 1991, including either class or overall victories at the Rolex 24, 12 Hours of Sebring, 24 Hours of Le Mans and Petit Le Mans. Acura and HPD swept all prototype championships in the 2009 American Le Mans Series; and won the North American Endurance Championship manufacturers' title in 2016. Prior to the founding of HPD in 1993, Acura won 25 races and three consecutive IMSA Camel Lights Championships from 1991-93. HPD's Acura and Honda engines have recorded 79 race wins at endurance sports car races around the world, with 71 of those victories coming in the HPD-developed line of sports prototype cars. In less than two years of North American GT3 competition, the Acura NSX GT3 has recorded five races wins and three poles. For more information about HPD and the company's racing product lines, please visit http://hpd.honda.com. JAS created the first Civic Type R for grass-roots circuit racing and rallying. JAS ran Honda Racing's FIA World Touring Car Championship programme from 2012 to 2017 and claimed the Manufacturers' World Championship title in 2013. 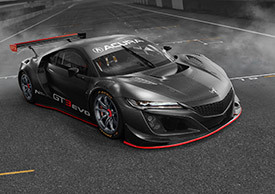 Currently, it is responsible for the Honda Civic Type R TCR, which has already won sprint and endurance racing championships across the world in 2018, and for the assembly of the NSX GT3 as well as providing technical and sales support for the car's customers in all territories except North America and Japan. Question on engine specs ?